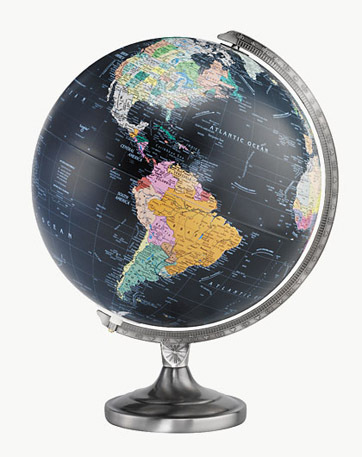 This globe is both contemporary and classic. 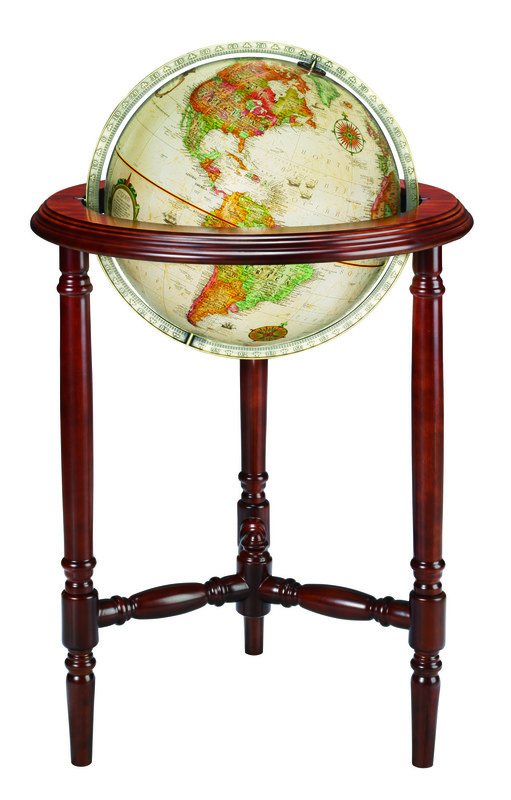 Its design features hand turned legs, and an elegantly layered top ring. 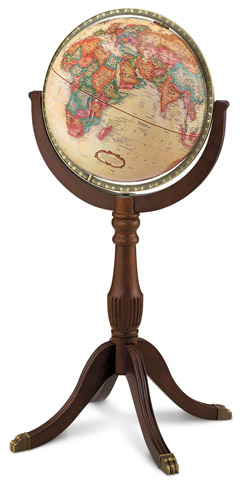 The stand creates the perfect setting for the 16" antique ocean raised relief globe that is held by an antique plated die-cast meridian.